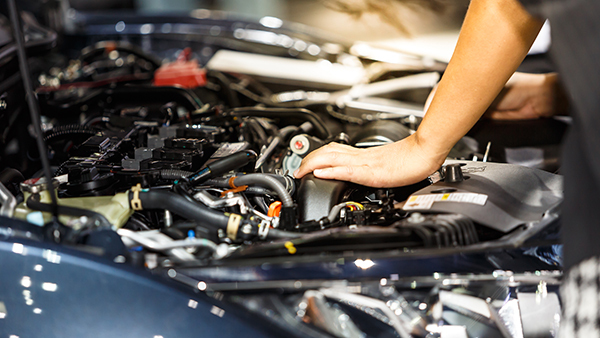 Car repairs and routine maintenance are often inevitable when you’re a car owner. Whether you drive an upper-class vehicle with excellent performance ratings or an average vehicle with decent customer reviews, you can’t always avoid a trip to the mechanic. And unfortunately, auto repair rip-offs are all too common. However, taking the time to research car repair shops in advance can reduce your risk of getting ripped off if you’re ever in need of an emergency repair. For this reason, the experts at Drivers-Licenses.org have put together a list of five reasons why you should always research car repair companies in advance. If your car breaks down on the side of the road, you would probably do just about anything to get it fixed — especially if you rely on your vehicle for daily commuting. However, jumping the gun and choosing just any car repair shop that is nearby has its drawbacks. Sure, it may seem convenient to get your vehicle repaired without having to get it towed too far, but a better solution is to have a mechanic in mind before there’s a need for a repair. If you don’t already have a trusted mechanic to handle your car repairs, the team at Drivers-Licenses.org recommends reading online customer reviews and getting referrals from friends and family members on affordable mechanics. Then, enter the desired shop’s information into your phone just in case you ever need it. Having an auto repair shop in mind will help you to avoid getting ripped off in an emergency. In addition to saving money and avoiding rip-offs, the team at Drivers-Licenses.org recommends researching car repair shops in advance for peace of mind. You will certainly feel better knowing that you already have a mechanic lined up if your vehicle needs unexpected repairs. A recent AAA survey found that 64 million American motorists wouldn’t be able to pay for car repairs in an emergency without racking up credit card debt. For this reason, the team at Drivers-Licenses.org recommends planning ahead and setting $50 aside each month in case a car repair is needed in the future. If this isn’t possible, plan ahead and look for a repair shop that offers interest-free financing options. That way, you won’t go into debt if unexpected car repairs are needed. According to the group of experts at Drivers-Licenses.org, one of the main benefits of researching car repair shops ahead of time is ensuring that you’ll get the car repairs you need without compromising quality service. Instead of selecting just any car repair company in an emergency, researching car repair shops in advance gives you a chance to find companies that have experience repairing your specific type of vehicle, making them more likely to do a good job. Does the company offer free estimates and/or diagnostic exams? Does the company offer written estimates? Before performing a repair, will the company explain which repairs need to be performed and why? Can the customer decide whether to use new or used parts, or does the company decide? Are the company’s parts or services covered under warranty? Does the company offer interest-free financing? Will the company call the customer to get approval on expected expenses and repairs? Does the company issue detailed invoices? With answers to the above questions, you’ll know exactly how a given auto repair shop will operate when the need for an emergency repair presents itself.